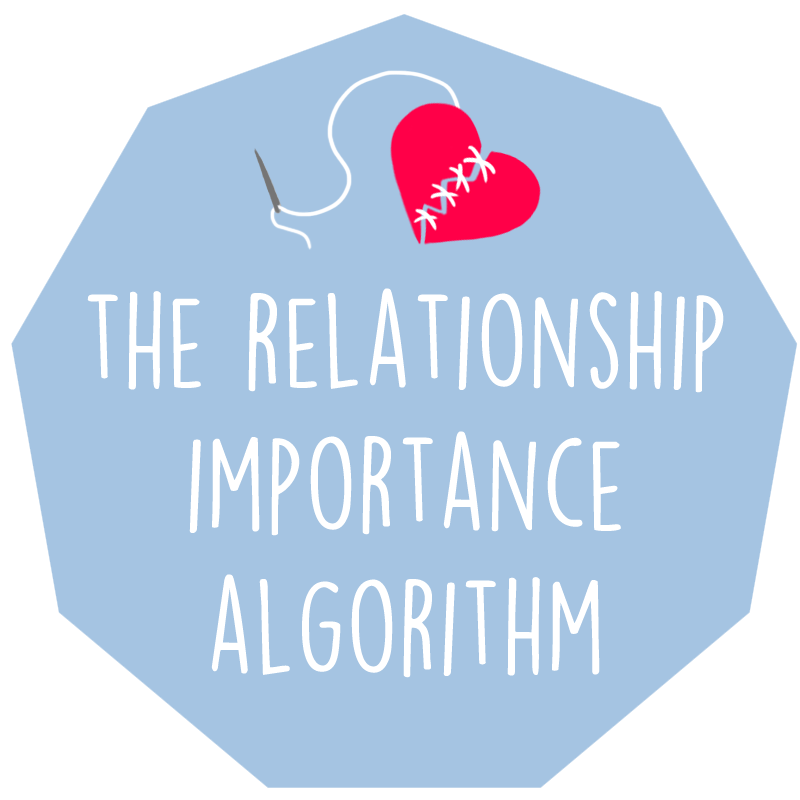 Hey guys, so let's talk about what I call The Relationship Importance Algorithm. Now, a large part of why you are hurting right now is very much due to how important your former relationship was to you. You will experience a LOT of pain. This means that you define your self-worth, and hence, possibly your whole life, on your relationship. You will start to heal. What many of people do is that though they work on themselves and blah blah blah, they are still placing their relationship before themselves. If you find that you're doing this, that's why you're hurting. That's why you're still devastated. And I can't go into your head and un-important the relationship for you. I am sure that you've heard of people doing really cool things like vigorously training for a marathon, or travelling the world after a breakup? And they were so vocal about it too. It's because they placed the importance of running or travelling before their former relationship. They made it MORE important than anything else. So, dear friend, you need to start ranking your former relationship compared to everything else that is happening right now in your life. However, if you find your former relationship coming out tops in everything, that's why you're not healing. So start making something else in your life more important to you. It might just save you on those really horrible days.